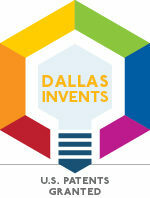 Check out this week's ranking for inventive activity in Dallas-Fort Worth-Arlington. Patents were granted to Phillip Morris, Intel, Lockheed Martin, Fujitsu, eBay, Bank of America, Fossil Group, Pavestone, AI Visualize, and more. 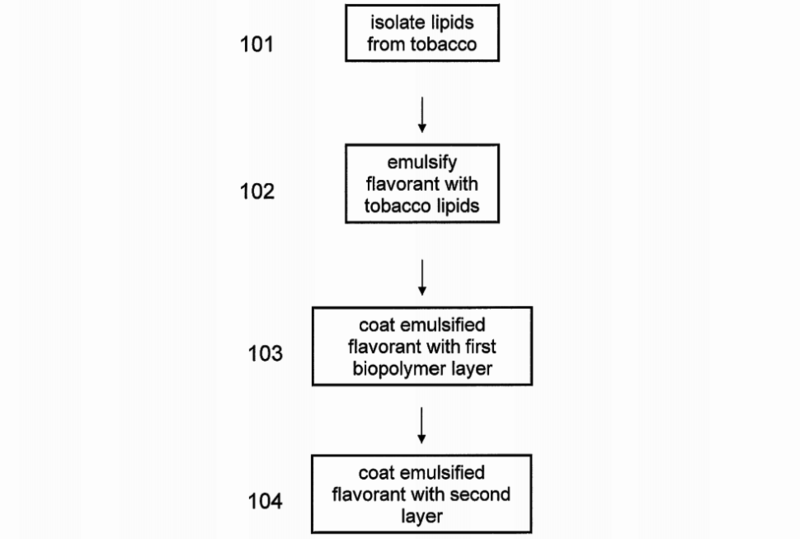 Abstract: Flavorants are emulsified in tobacco-derived lipids and encapsulated with biopolymers and polysaccharides. The emulsions include oil-in-water emulsions, oil-in-water-in-oil emulsions, water-in oil emulsions, or water-in-oil-in-water emulsions, and optionally include ethanol and/or propylene glycol in an oil phase. Abstract: Described herein are compositions useful for protecting the skin from the sun. The compositions comprise cosmetic ingredients such as zinc oxide, titanium dioxide, butyloctyl salicylate, and a dermatologically acceptable vehicle. The compositions may further comprise additional ingredients such as cyclopentasiloxane, neopentyl glycol diheptanoate, butylene glycol, caprylyl methicone, PEG-9 polydimethylsiloxyethyl dimethicone, glycerin, polyglyceryl-6 polyricinoleate, lauric acid, aluminum hydroxide, potassium sorbate, and citric acid. Abstract: The present invention relates to a method of reducing cutaneous facial flushing caused by systemic use of phosphodiesterase type 5 (PDE5) inhibitors by topical facial dermatological application of an effective dose of a composition comprising at least one alpha adrenergic receptor agonist. Abstract: The invention provides compositions and uses for treating or preventing obesity and related diseases in patients. 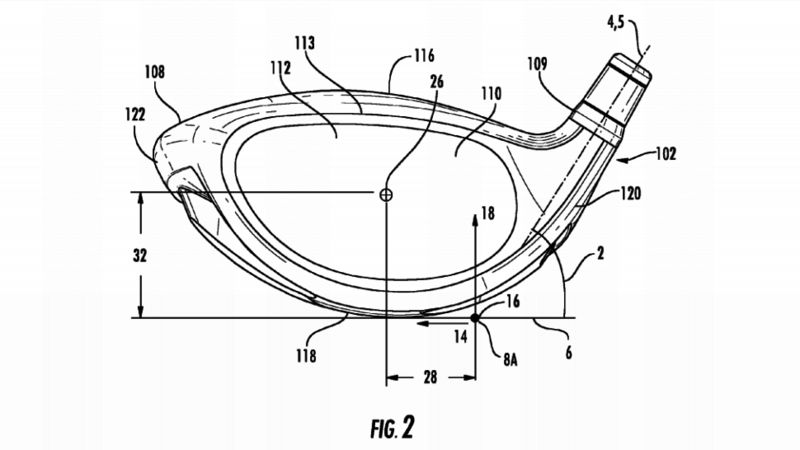 Abstract: A ball striking device, such as a golf club head, has a face with a striking surface configured for striking a ball and an elongated channel extending across a portion of the sole in a heel to toe direction. The channel is recessed from adjacent surfaces of the sole. The channel may have a width defined in a front to rear direction and a depth of recession from the adjacent surfaces of the sole, wherein the channel comprises a center portion extending across a center of the sole, a heel portion extending from a heel end of the center portion toward the heel, and a toe portion extending from a toe end of the center portion toward the toe. The channel may have a wall thickness that is greater in the center portion of the channel than in at least one of the heel and toe portions. Abstract: Provided are electrokinetically-altered fluids (gas-enriched electrokinetic fluids) comprising an ionic aqueous solution of charge-stabilized oxygen-containing nanostructures in an amount sufficient to provide modulation of at least one of cellular membrane potential and cellular membrane conductivity, and therapeutic compositions and methods for use in treating inflammatory neurodegenerative condition or disease or at least one symptom thereof. The electrokinetically-altered fluids or therapeutic compositions and methods include electrokinetically-altered ioinic aqueous fluids optionally in combination with other therapeutic agents. Particular aspects provide for regulating or modulating intracellular signal transduction associated with said inflammatory responses by modulation of at least one of cellular membranes, membrane potential, membrane proteins such as membrane receptors, including but not limited to G-Protein Coupled Receptors (GPCR), and intercellular junctions (e.g., tight junctions, gap junctions, zona adherins and desmasomes). 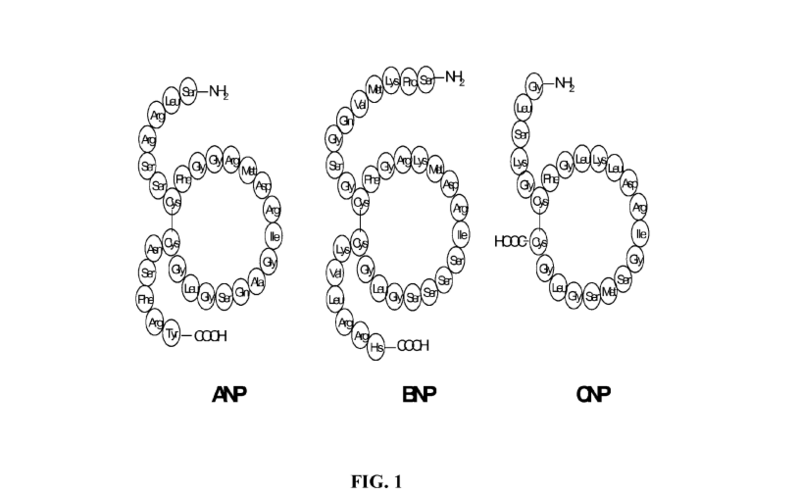 Other embodiments include particular routes of administration or formulations for the electrokinetically-altered fluids (e.g., electrokinetically-altered gas-enriched fluids and solutions) and therapeutic compositions. Abstract: There is disclosed a liquid filter system that includes a liquid filter apparatus configured to self-clean without removal of the filter apparatus from the filter system. The filter apparatus uses both a filter media for filtering solids as well as a spin motion imparted to fluid being filtered so that centrifugal force can remove solids from the liquid being filtered. The liquid filter system also includes a gas pulse nozzle in fluid communication with the liquid filter apparatus and is configured to flow gas into the filter media to expel water and debris trapped in the filter media without removing the filter media from the filter system. Abstract: A water injector assembly includes an injector body having a substantially hollow interior. The injector body defines an inlet opening defined within an outer radial surface of the injector body at a first axial location along the injector body. The injector body defines a flowpath opening in fluid communication with the inlet opening such that the flowpath opening is configured to receive the fluid from the inlet opening. The injector body defines an outlet opening defined within the injector body at a second axial location along the injector body. The outlet opening is in fluid communication with the flowpath opening, such that the outlet opening receives the fluid from the flowpath opening. The second axial location of the outlet opening is different than the first axial location of the inlet opening. Abstract: Disclosed are pliers and related methods for punching a hole in a non-flat material without distorting the material. Such pliers may comprise a first member having a first handle and a first jaw, and a second member having a second handle and a second jaw. The first and second members are attached at a connection point to permit pivoting in response to a squeezing force on the handles. The first jaw comprises a punch tip to be received by the second jaw, where the punch tip may have an angled distal end truncating a cross-section of the punch tip. The second jaw comprises a shaped edge facing the punch tip and extending along a length of the second jaw, the shaped edge having substantially the same shape as the non-flat material and comprising an opening having substantially the same shape as the cross-section of the punch tip and to receive the tip therein. Abstract: A method of making an inkjet print head may include forming, by sawing with a rotary saw blade, continuous slotted recesses in a first surface of a wafer. The continuous slotted recesses may be arranged in parallel, spaced apart relation, and each continuous slotted recess may extend continuously across the first surface. The method may further include forming discontinuous slotted recesses in a second surface of the wafer to be aligned and coupled in communication with the continuous slotted recesses to define alternating through-wafer channels and slotted recess portions. The method may further include selectively filling the residual slotted recess portions to define through-wafer ink channels. Abstract: A system and method for the deployment of a conduit system to convey fluids from a marine vessel to an offshore rig are provided. In one embodiment, the disclosure provides a conduit connected to a marine vessel, the conduit comprising: a plurality of sections of tubing; a plurality of flexible joints connecting the sections of tubing; and a buoyancy device at least partially surrounding at least one of the sections of tubing and having a density less than the density of seawater. Abstract: A lean burn combustion source includes a first side stream comprising an inlet and an outlet, both positioned downstream of a furnace and upstream of a particulate control device, and a second side stream comprising: an inlet positioned downstream of the particulate control device and upstream of the catalyst, a heat exchanger section passing through the first side stream, whereby heat from hot exhaust gas flowing through the first side stream is transferred to hot exhaust gas flowing through the second side stream, an injector positioned in the second side stream injecting aqueous based reagent into the hot exhaust gas flowing through the second side stream such that the aqueous based reagent decomposes to ammonia gas, and an outlet in fluid communication with a reagent distribution device positioned in the primary exhaust gas stream downstream of the particulate control device and upstream of the catalyst. Abstract: Presently disclosed embodiments are directed to systems and methods for bundling smaller stacks of bank notes into larger sized bundles that are efficient for transportation. The system may include an in-line bundler disposed along pockets of a currency processor for receiving stacks of bank notes directly from the pocket. That way, the smaller stacks of bank notes do not have to be removed from the currency processor and transported to a separate bundler machine. Instead, the currency processor features a desired number of bundler machines disposed in-line with the corresponding pockets where the bank notes are initially received and stacked. This arrangement may enable efficient stacking and bundling of bank notes sorted via the currency processor. Abstract: The disclosed embodiments illustrate methods and systems for predicting an availability of a parking spot in a parking area. The method includes generating a first signature for each of one or more first users. The first signature is generated based on at least a first set of data received from at least one or more first sensors in a first user-computing device associated with each of the one or more first users. The method further includes generating a second signature for each of the one or more first vehicles, based on at least a second set of data received from one or more second sensors in a first vehicle-computing device associated with each of the one or more first vehicles. Further, the method includes determining a likelihood of the availability of the one or more parking spots based on at least the first signature and the second signature. Abstract: Composition and method for making a multi-layer bio-based film having one or more cavitated layers. In one aspect, the multilayer flexible film has polylactic acid, an inorganic filler, and a cavitation stabilizer making up at least one film layer. In one aspect, the barrier web has a cavitated bio-based film layer. In another aspect, the print web has a cavitated bio-based film layer. Abstract: The present invention is directed towards an aqueous lubricant composition comprising hyaluronic acid, organic acid, salts and water, and has a pH of between 5.5 and 7.0 and an osmolality between about 150 and 1,500 mOsm/kg. The lubricant surprisingly has long-lasting lubricity and low osmolality as compared to conventional lubricants on the market. Abstract: A system of retaining wall blocks, a method of assembling a retaining wall block assembly, and a mold for manufacturing retaining wall blocks having adjustable engagement configurations. Abstract: In one embodiment, an electronically controlled hatch system for safe ingress, egress, hazard detection, and methods thereof are provided to reduce or eliminate hazards to personnel, including protection of people above and below a scuttle hatch, access port, skylight or elevated deck. Said hatch system reduces the risk of falls while ascending or descending a ladder through an access port. In certain embodiments, severe weather, hazard, security, and other safety information are detected and transmitted to a central control unit for processing and regulating the opening and closing of a hatch covering the access port and/or raising and lowering a safety railing system based on said information and/or user input. Said hatch system may include an actuator and guides for automatically locking/unlocking and opening/closing a hatch, an actuator and guides for automatically raising/lowering a railing system, safety monitoring detectors/apparatuses, and a centralized controller. Abstract: A seal assembly for an upward acting door that is positionable between an open and closed position. The seal assembly contains a base member having a first and second flexible sealing member extending therefrom for sealing engagement with the door. The base member is mounted adjacent the door to facilitate sliding engagement between the door and the first and second seal members as the door is moved between the open and closed positions. Abstract: A centralizer, method, and centralizer assembly. For example, the centralizer assembly includes a first stop collar fixed in place on a tubular, and a first end collar that is sized to slide axially over the first stop collar. The centralizer assembly also includes a first retainer coupled with the first end collar. The first retainer prevents the first stop collar from sliding past the first stop collar in at least one axial direction. The assembly also includes a plurality of ribs coupled with the first end collar and configured to engage a surrounding tubular in which the tubular is disposed. Abstract: A screen assembly can include a tracer retaining mechanism for retaining a tracer in an annular area defined between a screen portion and a base pipe. The tracer retaining mechanism can be coupled to the screen portion, the base pipe, or the tracer. The tracer retaining mechanism can allow fluid flow in and out of the annular area. Abstract: Certain aspects and features of the present invention are directed to a safety joint that can be disposed in a wellbore through a fluid-producing formation. The safety joint can include a body configured to be disposed in the wellbore, a primary retention mechanism, a secondary retention mechanism, and a time delay mechanism. The primary retention mechanism can be coupled to the body and can prevent the actuation of the safety joint. The secondary retention mechanism can be coupled to the body and can prevent the actuation of the safety joint in response to the primary retention mechanism allowing the actuation of the safety joint. The time delay mechanism can generate a time delay between the primary retention mechanism allowing the actuation of the safety joint and the secondary retention mechanism preventing the actuation of the safety joint. Abstract: Disclosed are check valve assemblies operable to inject treatment fluids during stimulation operations. One check valve assembly includes a valve body defining an inlet, one or more discharge ports, and a cylindrical passageway that fluidly communicates the inlet with the one or more discharge ports, the valve body further providing a cylindrical section in which the one or more discharge ports are defined, a valve cap disposed about an exterior of the cylindrical section and defining an opening that fluidly communicates with the cylindrical passageway, and a spherical piston disposed within the passageway and movable between a closed configuration, where the spherical piston prevents fluid communication between the inlet and the one or more discharge ports, and an open configuration, where fluid communication is allowed between the inlet and the one or more discharge ports. Abstract: In one aspect, a fluid end portion of a reciprocating pump assembly includes a fluid end block and an inlet manifold connected thereto. The manifold includes an opening formed therethrough and including a slot portion to facilitate the connection between the inlet manifold and the fluid end block. In another aspect, a method of connecting an inlet manifold to a fluid end block includes inserting fasteners into respective openings in the fluid end block, and effecting relative movement between the inlet manifold and the fluid end block so that the fasteners pass within respective slot portions formed through a mounting plate of the inlet manifold. In yet another aspect, a manifold is adapted to be connected to a fluid end block and includes an elongated member and a mounting plate connected thereto. The mounting plate includes openings formed therethrough, the openings including respective slot portions spaced in a parallel relation. Abstract: A valve positioning system for controlling a valve and exchanging information related to the valve is provided. The valve positioning system includes a valve positioner in operative association with the valve such that the valve positioner receives status information related to the valve. The valve positioner includes a graphical display that displays a graphical representation based on the status information. By displaying the graphical representation, the valve positioner optically transmits the status information to a computing device that is in a line of sight with the graphical display of the valve positioner. Abstract: A lighting system includes a first light device having a housing; a suction means secured to a first end of the housing, the suction means being configured to removably secure the housing to a transparent structure; a light carried within the housing; and a power source conductively coupled to the light. The method includes securing the housing to the transparent structure; and directing light through the transparent structure with the light. Abstract: An unmanned turret having a turret ring gear and first and second electrical force-producing devices with the unmanned turret being rotatably mounted to a vehicle chassis, the turret drive mechanism including at least one ring gear independent of the turret ring gear, at least one manually-operable input component rotatably coupled to the at least one ring gear, the at least one input component accessible within the vehicle chassis, and at least one output component mechanically coupled to at least one of the first and second electrical force-producing devices of the unmanned turret to cause rotation of the at least one of the first and second electrical force-producing device. Another turret drive mechanism and an unmanned turret are also disclosed. Abstract: Geo-defect repair modeling is provided. A method includes logically dividing a railroad network according to spatial and temporal dimensions with respect to historical data collected. The spatial dimensions include line segments of a specified length and the temporal dimensions include inspection run data for inspections performed for each of the line segments over a period of time. The method also includes creating a track deterioration model from the historical data, identifying geo-defects occurring at each inspection run from the track deterioration model, calculating a track deterioration condition from the track deterioration model by analyzing quantified changes in the geo-defects measured at each inspection run, and calculating a derailment risk based on track conditions determined from the inspection run data and the track deterioration condition. The method further includes determining a repair decision for each of the geo-defects based on the derailment risk and costs associated with previous comparable repairs. Abstract: In an embodiment, a method includes, for each field of view of a plurality of fields of view forming a field of regard, positioning a rotating disk in a first position corresponding to a first section of a plurality of sections. Each section of the plurality of sections may have a different focal length. The method further includes receiving a first image representing a first field of view, analyzing the first image, adjusting the plurality of mirrors based on the analysis, positioning the rotating disk in a second position corresponding to a second section, and receiving a second image representing the first field of view captured while the rotating disk was in the second position. The method further includes generating a range image of the field of view using at least the first image and the second image, and determining a range to a target using the range image. Abstract: The disclosed embodiments illustrate methods and systems for scheduling one or more first vehicles along a route in a transportation system. The method includes determining one or more demands pertaining to a commutation along a route, where the route comprises at least one pair of stations such that there is a unique path between the pair of stations. 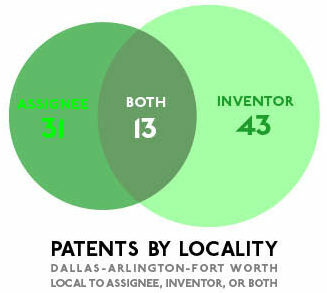 The method further includes determining a set of constraints associated with the transportation system. The set of constraints are based on at least a count of second vehicles plying on one or more routes in the transportation system at a time instance, a capacity of a first vehicle, and a performance metric of the transportation system. Further, the method includes determining a count of first vehicles, for plying along the route at the time instance, based on at least the set of constraints. Abstract: A seismic data acquisition system is configured to collect seismic data. The system includes a marine source array configured to be attached to a fixed structure floating at the water surface and including vibratory source elements; and a controller configured to control the vibratory source elements so that a beam formed by the source array is steerable. Abstract: A multi-layer microprismatic retroreflective film and a method of manufacturing the same. In one embodiment, the film includes: (1) a prism layer including an acrylic polymeric material and containing microprisms, (2) a strengthening layer including a polymeric material different from the acrylic polymeric material and (3) a buffer section including acrylic polymeric material located between the microprisms of the prism layer and the strengthening layer. Abstract: The present invention provides a module or system and a method that includes: 1) a transparent screen assembly containing an actuator layer lying between two layers of transparent multiple line electrodes, where one electrode layer of forms lines in the x-direction layer and the other electrode layer forms lines in the y-direction; and 2) a controller that is connected to these electrodes. The system and method of the present invention provides: 1) multiple touch sensing on or near a surface of the transparent screen and 2) simultaneous high resolution tactile feedback across the same surface. Abstract: A touch screen system includes a capacitive touch screen ([b]1[/b]) including a plurality of row conductors ([b]7[/b]-[b]1, 2[/b] [i]. . . n[/i]) and a column conductor ([b]5[/b]-[b]1[/b]). A plurality of contemporaneous orthogonal excitation signals (S[subscript]1[/subscript](t), S[subscript]2 [/subscript](t) . . . S[subscript]n[/subscript](t)) are simultaneously driven onto the row conductors, respectively. The capacitively coupled signals on the column conductor may be influenced by a touch ([b]10[/b]) on the capacitive touch screen. Receiver circuitry ([b]50[/b]) includes a sense amplifier ([b]21[/b]-[b]1[/b]) coupled to generate an amplifier output signal (r[subscript]1[/subscript](t)) in response to signals capacitively coupled onto the column conductor. WHT-based circuitry ([b]35[/b]) determines amounts of signal contribution capacitively coupled by each of the excitation signals, respectively, to the amplifier output signal. Abstract: Systems and methods for collaborative data based device maintenance are provided. In example embodiments, an indication of a malfunction of a user product of a user is received. In response to receiving the indication of the malfunction, a component of the user product corresponding to the malfunction is identified. User data of another user that includes data associated with the user product is accessed. An item listing associated with the component is identified based, in part, on the user data of another user. User data of the user is accessed . An order parameter for an order corresponding to the item listing is determined based on the user data of the user and the another user. A recommendation to place the order corresponding to the item listing using the determined order parameter is presented. Abstract: Executing instructions in a processor includes analyzing operations to be performed by instructions, including: determining a latency associated with a first operation to be performed by a first instruction, determining a second operation to be performed by a second instruction, where a result of the second operation depends on a result of the first operation, and assigning a value to the second instruction corresponding to the determined latency associated with the first operation. One or more instructions are selected to be issued together in the same clock cycle of the processor from among instructions whose operations have been analyzed, the selected instructions occurring consecutively according to a program order. A start of execution of the second instruction is delayed by a particular number of clock cycles after the clock cycle in which the second instruction is issued according to the value assigned to the second instruction. Abstract: A method of operation of a data storage system includes: monitoring a data interface bus, the monitoring by a non-volatile memory controller; activating a zero bit counter for detecting a ratio of 1”s to 0”s on the data interface bus; and adjusting a threshold voltage (V[subscript]th[/subscript]), based on the ratio of the 1”s to the 0”s from the zero bit counter, by the non-volatile memory controller. Abstract: A storage module and method for identifying hot and cold data are provided. The storage module can be removable from a host or can be embedded in a host. In one embodiment, a request to store data in a logical block address (LBA) of a memory of the storage module is received. A physical block associated with the LBA is determined, and it is also determined whether the physical block stores hot or cold data. A last-known open block is then selected, wherein the last-known open block is either hot or cold depending on whether the physical block stores hot or cold data. If space is available in the last-known open block, the data is written to the last-known open block. Abstract: For language elements that indicate or suggest time, such as adverbs, these also contain date and time information that can be used to quantify time for a single piece of text or for an entire repository. This quantification of time can then be used by many applications, such as a mobile device that needs to know when to execute a command or when an investigator is trying to piece together a chain of events from different documents. Abstract: For a search query submitted by a user, a result set including a plurality of pages is obtained. A first and a second personality score of a first and a second page, respectively, is determined using a value of a personality trait of the user and a weight associated with the value, and at least one of (i) a personality score of a site from which a first page is obtained based on a personality analysis of another content on the site, and (ii) a personality score of an author of the first page based on a personality analysis of another content published by the author. The first page is ordered ahead of the second page when the first personality score exceeding the second personality score, even when the first page and the second page are equally relevant to the search query. Abstract: In one embodiment, a method for building a clock tree for an integrated circuit design is provided. The clock tree may include a clock tree root node and a plurality of clock tree nodes that couple to sink pins for circuit elements of the integrated circuit design. The clock tree nodes may be arranged to distribute the clock signal to the sink pins. In synthesizing the clock tree, the sink pins may be clustered into one or more clusters. Clock tree nodes may be placed for the clock tree to distribute the clock signal to the one or more clusters. Timing information is determined to measure the clock signal delay from the root to the sink pins in the one or more clusters based on the placed one or more clock tree nodes. Different sets of timing information may be determined based on different sets of clock tree timing variation parameters. For example, the clock tree timing variation parameters includes timing information for multiple process corners and/or multiple modes of operation. Abstract: Systems and methods for detecting potential steganography use to hide content in computer files transmitted via electronic communications are provided. An electronic communication associated with a computer file may be identified. The communication and the computer file may be analyzed to determine whether the computer file potentially includes hidden content. To determine whether the computer file potentially includes hidden content, a set of steganographic criteria may be analyzed. If at least a portion of the steganographic criteria are satisfied, then it may be determined that the computer file potentially includes hidden content. If at least a portion of the steganographic criteria are not satisfied, then it may be determined that the computer file does not potentially include hidden content. If the computer file is determined to potentially include hidden content, an individual may be notified of the communication associated with the computer file. Abstract: A method for planning a transportation service includes sending transportation proposal to a plurality of organizations. The proposal includes one or more initial options, each including a set of variable parameters. Each organization can generate a modified option and make a commitment conditional on selected ones of the parameters. Each organization sends respective modified options to commuters of that organization who may specify their own pledges for at least one of the modified options, conditional on the organization-selected values for the variable parameters and optionally on commuter-selected values for the variable parameters. A cost-benefit function is computed for each of a set of revised options for the transportation service, each of the revised options being based on a combination of the variable parameters for which pledges which cover the combination have been received and one or more of the revised options is identified, based on the computed cost-benefit function. Abstract: In one embodiment, the invention involves a method for readying client financial data. The method comprises receiving a proximity distance; identifying a location of a mobile device of a financial professional (FP); identifying a location of a first client of the FP within the proximity distance from the location of the mobile device; downloading, by the mobile device and in response to identifying the first client, a first financial data item corresponding to the first client; and displaying, to the FP by the mobile device, the first financial data item. Abstract: Methods and systems for processing negotiable economic credits through, or at the request of, a hand held device in association with a third-party provider communicative with the hand held device and/or a point of sale. At least one negotiable economic credit can be transferred from a third-party provider communicative with the hand held device to the hand held device and/or point of sale. The negotiable economic credit can be stored within a memory of the hand held device and/or point of sale for retrieval and processing at a point of sale associated with a retail establishment and/or by a hand held device. The negotiable economic credit can be associated with a security module for protecting the privacy of the negotiable economic credit. A user profile can be compiled for utilization during the retrieval of the negotiable economic credit. Abstract: A method for recommending the pronunciation of a name includes providing a plurality of audio records wherein the audio records include a set of audio records identifying the pronunciation of a common name. The method also includes analyzing the set of audio records identifying the pronunciation to determine the most frequent common pronunciation of the common name in the set of audio records. Once determined, the most frequent common pronunciation of the common name is presented to an end user. Abstract: An electronic device may receive a supply voltage from another external device, and detect when a level of the supply voltage drops below a threshold. In response, a controller of the electronic device may deactivate an interface configured for communication with the other electronic device. The controller may manage time periods and time period counters to determine when the check whether to reactivate the interface or conclude that the other external device is non-compliant. Abstract: A non-volatile memory system includes one or more control circuits configured to read memory cells. The reading of the programmed memory cells includes applying one or more voltages to perform boosting of a channel region associated with unselected memory cells, allowing the boosting of the channel region for a portion of time while applying the one or more voltages, preventing/interrupting the boosting of the channel region while applying the one or more voltages for a duration of time based on position of a memory cell selected for verification, applying a compare signal to the memory cell selected for reading, and performing a sensing operation for the memory cell selected for reading in response to the compare signal. Abstract: Column based defect management techniques are presented. Each column of the memory has an associated isolation latch or register whose value indicates whether the column is defective, but in addition to this information, for columns marked as defective, additional information is used to indicate whether the column as a whole is to be treated as defective, or whether just individual bits of the column are defective. The defective elements can then be re-mapped to a redundant element at either the appropriate bit or column level based on the data. When a column is bad, but only on the bit level, the good bits can still be used for data, although this may be done at a penalty of under programming for some bits, as is described further below. A self contained Built In Self Test (BIST) flow constructed to collect the bit information through a set of column tests is also described. Based on this information, the bad bits can be extracted and re-grouped into bytes by the controller or on the memory to more efficiently use the column redundancy area. Abstract: A memory cell is provided that includes a vertically-oriented adjustable resistance material layer, a control terminal disposed adjacent the vertically-oriented adjustable resistance material layer and coupled to a word line, and a reversible resistance-switching element disposed on the vertically-oriented adjustable resistance material layer. The control terminal is configured to adjust a resistance of the vertically-oriented adjustable resistance material layer. Abstract: Determining placement options for technical components of a specified service is a difficult technical challenge. A metadata architecture addresses, in part, the technical challenge by defining a complex metadata collection and attachment mechanism. In one implementation, the metadata architecture defines metadata domains and obtains descriptive metadata for those domains, e.g., metadata for the technical components from multiple disparate sources and across multiple different characteristics of the technical components. The metadata architecture is linked to the technical components and the metadata architecture injects specific metadata subsets into, e.g., a placement pipeline that determines where the technical components may be placed in the extensive provider/platform/service space. Abstract: Methods, apparatus, systems and articles of manufacture are disclosed which credit background applications. Examples disclosed herein set a threshold for bandwidth activity based on the bandwidth pattern. Examples disclosed herein compare a bandwidth usage of the application executing in the background to the threshold for bandwidth activity. Examples disclosed herein determine a state of the application executing in the background as one of active or inactive based on the comparing, and generate a log file comprising an identification of the application, a timestamp, and the state of the application. Abstract: A method and system for protection switching distributes responsibility for action between a central controller and network elements at endpoints of a linear point-to-point network path. The central controller may be configured to support protection switching by network elements at endpoints of a linear point-to-point path, such that the network elements perform protection switching independently and without direct involvement and/or dependency of the central controller. Simultaneously, the central controller may remain aware of network element actions, events, and states with regard to protection switching, by receiving corresponding notifications from the network elements. Abstract: A security system comprising a computer, a memory, a data store comprising a cyber threat intent dictionary and a technology dictionary; and an application stored in the memory. When executed by the computer, the application generates a report that comprises an identification of a cyber threat intent and the identification of a cyber threat technology, wherein the cyber threat intent is selected from a plurality of cyber threat intents listed in the cyber threat intent dictionary and wherein the cyber threat technology is selected from the technology dictionary. The application also populates values in a cyber threat progression vector, where the cyber threat progression vector comprises elements that each corresponds to an action in a chain of actions associated with a cybercrime, where the values correspond to one of present or not present. The vector is used to manage the cyber risk of an enterprise or organization. Abstract: A method implemented by a client device for media content streaming, the method comprising inserting one or more query parameters in a query string portion of a uniform resource locator (URL), wherein the query string portion follows a path portion of the URL, sending a media request comprising the URL to a streaming server, and receiving one or more segments of a media content from the streaming server in response to the media request. Abstract: Streaming of a media asset from a cloud server computer to a media playback device is disclosed. In an embodiment, a list of media assets stored in the cloud server computer is sent over network from the cloud server computer to a portable device. In another embodiment, the list is transferred via close-range communication to the portable device from the media playback device which received the list from the cloud server computer over network. In the embodiments, a media asset is started streaming over network from the cloud server computer to the media playback device responsive to selection of one of the listed media assets at the portable device. In some embodiments, streaming is redirected from the portable device to the media playback device responsive to a user”s operation or in case of disconnection. Abstract: A system includes a policy repository configured to store a plurality of plurality of media-centric policies. A media policy decision point receives media session data corresponding to one of the plurality of media sessions; determines a plurality of media-specific and non-media specific attributes, based on the media session data; and evaluates a plurality of media-centric policies to determine a proper subset of the plurality of media-centric policies that apply to the one of the plurality of media sessions. A media policy enforcement point enforces the proper subset of the plurality of media-centric policies to control the one of the plurality of media sessions. Abstract: Systems and methods of monitoring a power system power converter are provided herein. The system includes a plurality of parallel-coupled power converters comprising a power converter input and a power converter output, the power converter output configured to be coupled to a load, each power converter of the plurality of parallel-coupled power converters comprising a power converter controller. The power converter controller is configured to compare an output current of a corresponding power converter to a predetermined output current threshold, monitor the output current for a predetermined time duration when the output current is below the predetermined output current threshold, and shut down the corresponding power converter when the output current is below the predetermined output current threshold for the predetermined time duration. Abstract: An electronic device may include system and serial peripheral interface (SPI) clocks, and a host interface each switchable between active and inactive states, a serial controller coupled to the system clock, and a memory. A slave controller may generate a request active signal based upon a transaction request from a host and causing each of the system clock, SPI clock, and host interface into the active state, store request data in the memory, and switch the host interface to the inactive state based upon the request data being stored. The serial controller may process the request based upon the request active signal, and generate a request complete signal based upon the request being processed. The slave controller may switch the system clock to the inactive state based upon the request complete signal. The SPI clock may be switched to the inactive state based upon the request complete signal. Abstract: Communication from enterprise servers to handheld devices in the field supports dispatch, data synchronization, logistics and personnel. Bi-directional data delivery from enterprise-based servers over wireless data networks is enabled using wireless capabilities resident in handheld personal computing devices. Real time communications facilitates real-time access to remote programs, assistance and/or information related to the field operations and asset (personnel and inventory) resource management. Management is facilitated for at least one of: construction industry project analysis, HVAC system analysis, project management, equipment readiness inspection, troubleshooting, inventory tracking, inventory ordering, sales (e.g., providing cost estimates to customers), customer invoicing, conducting legal investigations, field data collection, and multi-user remote function coordination. Abstract: A 3D nonvolatile memory has memory elements arranged in a three-dimensional pattern with a plurality of memory layers stacked over a semiconductor substrate. It has a 2D array of vertical bit lines and a plurality of staircase word lines. Each staircase word line has a series of alternating segments and risers and traverses the plurality of memory layers with a segment in each memory layer. The plurality of staircase word lines have their segments lined up to form a 2D array of stacks of segments. Riser for a pair of segments from each adjacent stacks at different memory layers is provided by a conductive sidewall layer of a stairwell disposed between the adjacent stacks. Multiple insulated conductive sidewall layers provide multiple risers for the adjacent stacks. Layer-by-layer stairwell excavation and sidewall processes between adjacent stacks create risers for different pairs of segments between stacks to form the staircase word lines. Abstract: An alternating stack of insulating layers and spacer material layers is formed over a substrate. Memory stack structures are formed through the alternating stack. The spacer material layers are removed to form backside recesses. The backside recesses are sequentially filled with a continuous layer stack including a first continuous metallic nitride layer, a continuous tungsten layer, a second continuous metallic nitride layer, and a continuous metal fill layer. The continuous layer stack is patterned to form electrically conductive layers. Each electrically conductive layer includes a liner stack of a first metallic nitride liner, a tungsten liner, and a second metallic nitride liner. The liner stack is a diffusion barrier for high diffusivity species such as fluorine and boron. Abstract: A gate dielectric layer including a tunneling gate dielectric layer, a charge trapping gate dielectric layer, and a cap gate dielectric layer is formed on a horizontal semiconductor channel. An alternating stack of insulating layers and spacer material layers is formed over the gate dielectric layer. The spacer material layers are formed as, or are subsequently replaced with, electrically conducive layers. Memory stack structures are formed through the alternating stack and the gate dielectric layer. Electrical charges can be injected into the charge trapping gate dielectric layer from the horizontal semiconductor channel to program the threshold voltage of a select field effect transistor employing a bottommost electrically conductive layer as a select gate electrode. The programmable threshold voltage can be advantageously employed to provide enhanced electrical isolation among word lines. Abstract: A NAND memory cell region of a NAND device includes a conductive source line that extends substantially parallel to a major surface of a substrate, a first semiconductor channel that extends substantially perpendicular to a major surface of the substrate, and a second semiconductor channel that extends substantially perpendicular to the major surface of the substrate. At least one of a bottom portion and a side portion of the first semiconductor channel contacts the conductive source line and at least one of a bottom portion and a side portion of the second semiconductor channel contacts the conductive source line. Abstract: Dummy gates are removed from a pre-metal layer to produce a first opening (with a first length) and a second opening (with a second length longer than the first length). Work function metal for a metal gate electrode is provided in the first and second openings. Tungsten is deposited to fill the first opening and conformally line the second opening, thus leaving a third opening. The thickness of the tungsten layer substantially equals the length of the first opening. The third opening is filled with an insulating material. The tungsten is then recessed in both the first and second openings using a dry etch to substantially a same depth from a top surface of the pre-metal layer to complete the metal gate electrode. Openings left following the recess operation are then filled with a dielectric material forming a cap on the gate stack which includes the metal gate electrode. Abstract: A high performance GAA FET is described in which vertically stacked silicon nanowires carry substantially the same drive current as the fin in a conventional FinFET transistor, but at a lower operating voltage, and with greater reliability. One problem that occurs in existing nanowire GAA FETs is that, when a metal is used to form the wraparound gate, a short circuit can develop between the source and drain regions and the metal gate portion that underlies the channel. The vertically stacked nanowire device described herein, however, avoids such short circuits by forming insulating barriers in contact with the source and drain regions, prior to forming the gate. Through the use of sacrificial films, the fabrication process is almost fully self-aligned, such that only one lithography mask layer is needed, which significantly reduces manufacturing costs. Abstract: A bipolar transistor is supported by a substrate including a semiconductor layer overlying an insulating layer. A transistor base is formed by a base region in the semiconductor layer that is doped with a first conductivity type dopant at a first dopant concentration. The transistor emitter and collector are formed by regions doped with a second conductivity type dopant and located adjacent opposite sides of the base region. An extrinsic base includes an epitaxial semiconductor layer in contact with a top surface of the base region. The epitaxial semiconductor layer is doped with the first conductivity type dopant at a second dopant concentration greater than the first dopant concentration. Sidewall spacers on each side of the extrinsic base include an oxide liner on a side of the epitaxial semiconductor layer and the top surface of the base region. Abstract: The invention provides a power semiconductor device including an aluminum nitride single crystalline substrate, wherein the dislocation density of the substrate is less than about 10[superscript]5 [/superscript]cm[superscript]2 [/superscript]and the Full Width Half Maximum (FWHM) of the double axis rocking curve for the (002) and (102) crystallographic planes is less than about 200 arcsec; and a power semiconductor structure comprising at least one doped Al[subscript]x[/subscript]Ga[subscript]1x[/subscript]N layer overlying the aluminum nitride single crystalline substrate. Abstract: A controller is configured to access information to generate data blocks. The controller includes a data block interleaver and a low-density parity check (LDPC) decoder. The data block interleaver is configured to interleave the data blocks to generate interleaved data blocks. The LDPC decoder is configured to decode the interleaved data blocks. Abstract: The disclosed embodiments include an automated RF testing management system that is configured to control a plurality of RF testing units, each having multiple test ports for performing RF testing of various electronic devices. Advantages of the disclosed embodiments include cost savings, increase productivity, and ease of configuration and maintenance. Abstract: Techniques, apparatus and systems are described for accommodating the optical network units (ONUs) having different nominal upstream bitrates on the same passive optical network (PON) system by making the specified burst preamble and the bandwidth map allocation record format invariant with respect to the nominal upstream bitrate of a target ONU. The disclosed techniques, apparatus and systems allow seamless evolution of the lower-bitrate services to higher-bitrate services offered to an end-user without need to upgrade the central office equipment. In addition they can avoid the adverse consequences of inadvertently connecting a high-upstream-bitrate ONU to a lower-upstream-bitrate network. Abstract: A method for operating a transmission point with reduced interference includes determining a beamformed signal configuration specified in accordance with configuration information of neighboring TPs, wherein the beamformed signal configuration indicates multiplexed beamformed signals in a spatial domain and at least one of a time domain and a frequency domain, and transmitting beamformed signals in accordance with the beamformed signal configuration, wherein the beamformed signals comprises at least one of beamformed reference signals and beamformed control signals. Abstract: Disclosed herein is a mechanism for discovering SDN specific topology information in a SDN interconnection network. SDN specific topology information may comprise SDN IDs, SDN member router ID lists, and SDN address lists. A SDNC associated with a local SDN domain in the SDN interconnection network may determine a set of routers and/or links in the local SDN domain for link advertisement and may associate the set of routers with the local SDN domain. The SDNC may further determine a set of border routers in the local SDN domain for broadcasting the link advertisements and SDN specific topology information to other interconnected SDN domains. The SDNC may receive link advertisement and SDN specific topology information from other interconnected SDN domains and may compute a best path through each router and/or link across the SDN domains. Abstract: Methods and systems for multiple channel authentication are described. In one embodiment, a request for a combined voice and data call is initiated from within a mobile application. The request may include authentication information and contextual information relating to a current exchange between the mobile application and an organization. The user may be authenticated with the authentication information and the combined voice and data call may be routed to a representative based on the contextual information to continue the exchange. Abstract: Methods, apparatuses, and computer program products for enforcing time and usage limits are provided. One method includes allocating a usage allowance and time allowance for a group subscription to a network, and receiving a notification when a minimum threshold is reached for either the usage allowance or the time allowance within a certain duration. The method may further include determining a remainder of the usage allowance and a remainder of the time allowance by querying at least one policy and charging enforcement function, and reallocating the usage allowance and the time allowance based on the determined remainder of the usage allowance and the determined remainder of the time allowance. Abstract: Performing user equipment (UE) assisted indoor small cell location determination is presented herein. A method can include in response to sending, by an access point device, a request directed to a mobile device to obtain mobile device location data representing a user equipment location of the mobile device, receiving, by the access point device, the mobile device location data from the mobile device; and based on the mobile device location data, determining, by the access point device, access point location data representing an access point location of the access point device. In an example, the mobile device location data can include coordinates of the mobile device comprising latitude of the mobile device and longitude of the mobile device, and a time stamp representing a time of generation of the coordinates. In another example, the mobile device location data can include an altitude of the mobile device. Abstract: A device is configured to perform a method of wireless communication in a wireless communication network. The method includes receiving, from a communications controller, a device-to-device (D2D) subframe configuration to communicate with one or more second wireless devices, the subframe configuration indicating one or more subframes in which to transmit a D2D signal or receive one or more D2D signals. The method also includes receiving, from the communications controller, scheduling information to transmit a first signal to the communications controller on a subframe indicated by the D2D subframe configuration. The method further includes prioritizing the transmission of the first signal over a transmission of the D2D signal or a reception of the one or more D2D signals, and transmitting the first signal. Abstract: System and method embodiments are provided for network cell discovery. In an embodiment, a method in a mobile device includes receiving, at the mobile device, at least one parameter from a first network component, wherein the at least one parameter is associated with a discovery signal (DS) generated by and transmitted from a second network component, wherein the parameter specifies a time period between successive transmissions of the DS, an offset within the time period, and a duration of each transmission of the DS; receiving, at the mobile device, according to the time period and the offset, the DS from the second network component; and suspending reception on a first carrier radio resource during a gap in successive transmissions on the first carrier radio resource and receiving a signal on a second carrier radio resource during the gap, wherein the gap is determined according to the parameter. Abstract: A method for processing a control channel at a user agent (UA) to identify at least one of an uplink and a downlink resource allocated by a resource grant within a multi-carrier communication system wherein resource grants are specified by control channel element (CCE) subset candidates wherein the carriers used for data transmission and reception are configured carriers, the method comprising the steps of receiving activation signals specifying active and deactivated carriers from among the configured carriers, for active carriers (i) identifying a number of CCE subset candidates to decode and (ii) decoding up to the identified number of CCE subset candidates in an attempt to identify the resource grant; and for deactivated carriers, ignoring CCE subset candidates associated with the deactivated carriers. Abstract: A method for transmitting a transmission to a station in a wireless network includes transmitting a preamble of the transmission to the station using a first channel with a first bandwidth, the preamble including a first indicator indicating a second channel with a second bandwidth, the second bandwidth greater than the first bandwidth, and transmitting a data portion of the transmission to the station using the second channel with the second bandwidth. Abstract: A system compatible for use with ATCA includes a chassis comprising a first and a second plurality of slots for receiving circuit boards. The chassis further includes a midplane having a front surface and a back surface. The midplane extends between the first plurality of slots and the second plurality of slots. The midplane has a first plurality of connectors affixed to the front surface and has a second plurality of connectors affixed to the back surface. Each connector is arranged to accept a circuit board. The midplane forms an interconnection scheme such that one of the first plurality of slots is directly connected to one of the second plurality of slots. The one of the first plurality of slots and the one of the second plurality of slots extend in opposite directions from their respective connections on the midplane. Abstract: There are provided fiber optic local convergence points (”LCPs”) adapted for use with multiple dwelling units (”MDUs”) that facilitate relatively easy installation and/or optical connectivity to a relatively large number of subscribers. The LCP includes a housing mounted to a surface, such as a wall, and a cable assembly with a connector end to be optically connected to a distribution cable and a splitter end to be located within the housing. The splitter end includes at least one splitter and a plurality of subscriber receptacles to which subscriber cables may be optically connected. The splitter end of the cable assembly of the LCP may also include a splice tray assembly and/or a fiber optic routing guide. Furthermore, a fiber distribution terminal (”FDT”) may be provided along the subscriber cable to facilitate installation of the fiber optic network within the MDU.